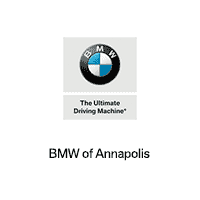 Our BMW dealership is proud to provide you with all types of services when it comes to all things automotive. Not only can you purchase your next vehicle with us, but we’ll help you with auto maintenance long after you leave the lot. At our BMW dealership, we know there’s a car for everyone’s individual lifestyle. Whether you’re looking for a sedan to commute back and forth to work, or an SUV to take the kids to soccer practice, we have your next luxury vehicle waiting for you. You can start by checking out our online inventory. You’ll get all the details of the BMW 320i, the BMW X5, or any model that sparks your interest, so you’ll know exactly what you’re looking for by the time you get to our showroom! We understand that financing your vehicle might sound like a stressful process, but at our BMW dealer, we’ve made it so that the financial portion of buying a car doesn’t have to be difficult. With our expert finance team guiding you along the way, we’ll explain some financial lingo, confusing terms, and any other questions that might pop up for you. You can even get started right at home by filling out our online credit application. Our service to you doesn’t stop when you drive away in your new car. At our dealership, we provide an auto service center that’s located conveniently on site, so that you won’t ever have to go far to get high-quality service from experienced auto technicians. You can schedule service easily, too, with our online scheduler. Simply fill out your information, and one of our team members will contact you to confirm your appointment. On this page, you’ll find a list of the areas we serve. Simply click on the link to your town or city, and you’ll be directed to a new page that explains a little bit about the area, plus some more info about our dealership. We hope you enjoy reading about these awesome areas, and we look forward to working with you! Contact us today.